As a kid, my memories of Sudan consisted of faint moments of rejoicing when the generator turned the electricity back on. I remembered tossing and turning on my Angareb (wooden bed) in my grandmother’s hosh (yard) on warm summer nights, and going fishing on the river Nile with my uncle after Friday prayer. The memories are few and pale, but they are vivid, like the nostalgic smell of turab (dirt), or the “tuk tuk” sounds that the rickshaws made in the morning to wake us up. Now, as a young adult in my 20s, I’m angry that the already difficult task of trying to use these hazy memories of trying to connect with a country I wasn’t raised in has become even more complicated. Back then, it was holidays from California visiting family. Today, I have to grapple with Trump’s “Muslim ban”. It’s like I’m being prevented from trying to be Sudanese, and I can’t say that I feel “American” either. 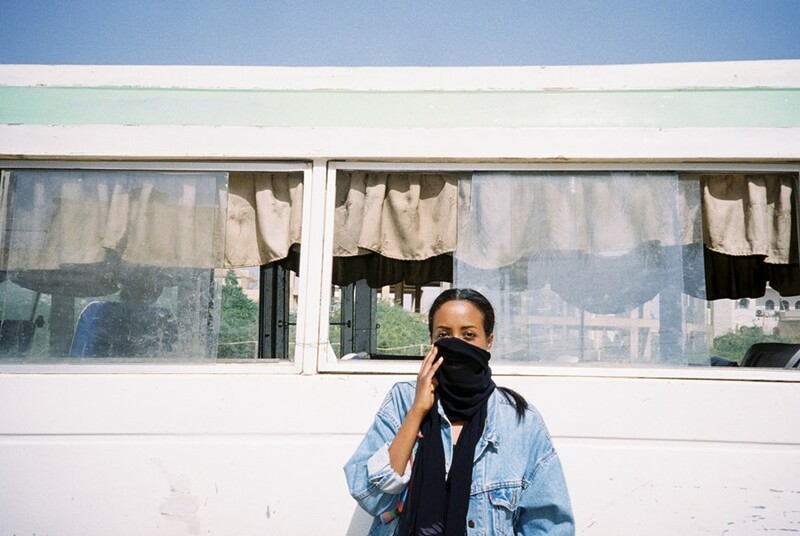 Traveling from Los Angeles to Sudan in December, I was cautious. Over the course of the previous six months, my father had helped me apply for a Sudanese passport, after sensing an increase in political turmoil. It was with the help of this passport, not my American one, that I entered Khartoum, Sudan’s capital. I figured it would be best to avoid an entry stamp from a country that was on the ban list on my US passport, to keep myself safe, and decrease any chances of any issues with customs and immigration upon my return. Although the ban is lifted, I was born in the US, and I am technically free to travel, my trust in the government is nonexistent. In the past I have spent hours stuck at the airport for traveling to countries such as Sudan, Saudi Arabia, and the UAE. This time, my experience in Sudan was distinctive. I so desperately wanted to feel, so that I could have something more than a stamp to take back with me. One day, we traveled to Omdurman from Khartoum proper, to visit my great aunts in the house that my great grandfather Abdelrahman Muhamed built in 1910. The area is called Wad Nobawi, and neighbours and friends refer to our land and home as Hosh Tarawa (The Tarawa Home). The land is now divided into four homes, where each of his surviving children live. Crossing the White Nile bridge, we proceeded from one bumpy, non-existent road to another. I asked my father how he always seemed to know where he was going. He said that even though there aren’t any real streets, people remember the openings in roads, and friends’ homes become landmarks, because people never move house. 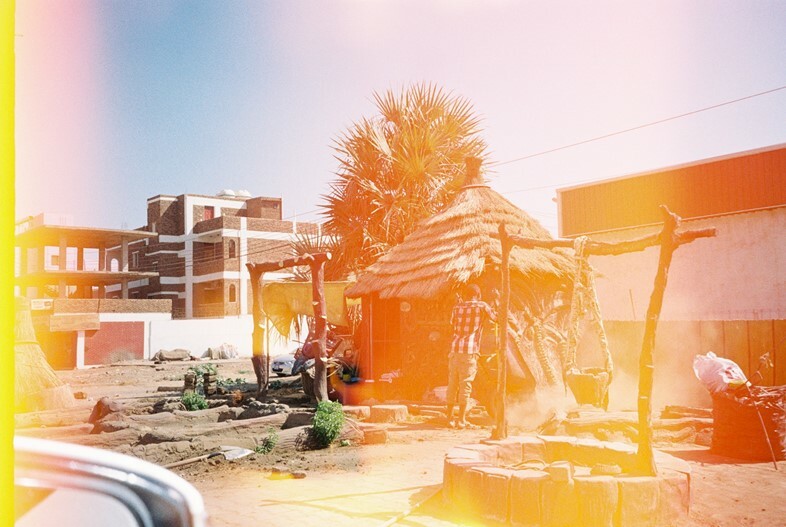 You could ask anyone in Omdurman where “so and so” lives, and they could tell you in a heartbeat. This sense of rootedness and belonging is something foreign to me. As we pulled up, what used to be a door fit for a castle and a front yard with a fruit garden consisting of mango, lime, and guava trees, was now just a creaky gate and dirt. 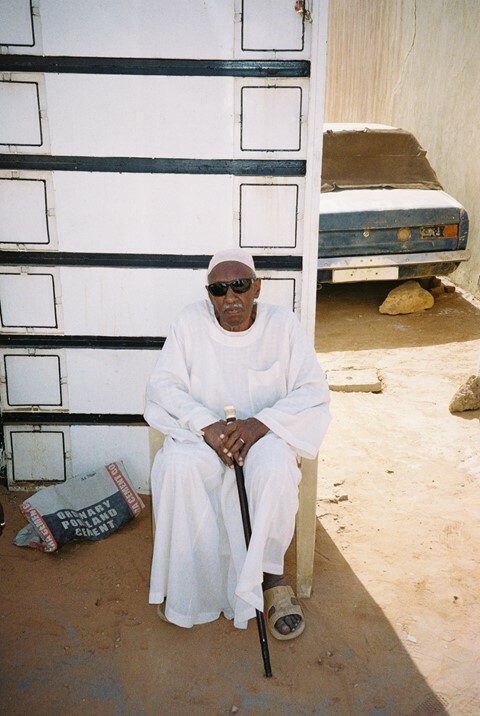 I spotted my great uncle from down the road, sitting outside in his jalabiya, sunglasses and his “okaz” (Sudanese cane). He spends his days “guarding” the front of the house. My trip came just before Sudan’s independence month. In January, Sudan celebrates over 60 years of freedom from Egyptian British colonisation and control – but its people are far from free. It was only recently, in October 2017, that the US retracted economic sanctions that have been in place for over 20 years. Though it’s a step forward in the right direction, the US government doesn’t do anything for a country without making sure it keeps its control. For 20 years, Sudan has been isolated from profitable and productive market spaces. When I say isolated, I mean we don’t even have a McDonalds. We have something called “StarBox,” the bootleg version of Starbucks. Sudan is one of the largest countries in Africa, and should be one of its most prosperous countries, but instead ranks 171 out of 187 on the Human Development Index. The commonness of corruption fuels the disparity between those who have access to resources and those who do not. Imagine living in a place that has an abundance of natural resources, yet fails to thrive each year. The sanctions imposed by the US aimed to put pressure on the Sudanese government for reform, but instead negatively impacted Sudanese citizens in ways like denying adequate healthcare, and funding for education. This deepened the gap in distribution of wealth and fueled a civil war, which eventually led to the split of Sudan into North and South. Today, the issues only continue to get worse. I’ve stopped relying on our world leaders to guide us into spaces of peace and prosperity, but I will never give up hope in this country’s people. In Sudan, we eat and talk with our hands and we pray on our knees. You can spot a Sudani a mile away by the way he or she walks. We are the people of the Nile. We are a people cultivated from the intersection of the various African tribes that once fought and conquered in the name of Nubia. Most importantly, we are more than what President Trump has characterised us to be. We are more than one of the seven countries he fixed his racist lips to banish. We are doctors, lawyers, artists, scholars, and engineers who have served America despite the overwhelming amount of hate and oppression we have endured in return. When the ban happened, it was like I was stripped away from being able to call myself American. It was a wake up call, and I felt like all I had left was Sudan – but it felt out of reach, like grasping for something while every inch of your body tries to pull you back. In the wake of that, traveling back to Sudan was different. This time, I didn’t want to leave. Lately, I’ve been having thoughts about what life would look like for me, had my parents never immigrated. I’m a Muslim American straddling the fine line between being too black and not black enough, too Muslim and not Muslim enough, too Arab and not Arab enough. This fluid sense of mis-identity has become my identity. I’ve never lived in a place where I felt like I was a part of the majority, where I didn’t have to worry about taking up space. I love Sudan, but deep down I know it will never be for me what it is for my parents. America won’t either. If you asked me today to choose between the two I don’t know what I would say. I guess I’m accepting that I will forever be in this space of falsified identity. In limbo. The Trump ban forced me to reexamine my role as a Sudanese American. It reminded me that freedom will forever be a fleeting notion.